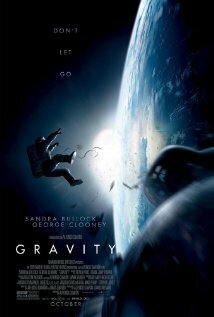 PlotA medical engineer and an astronaut work together to survive after an accident leaves them adrift in space. Storyline A medical engineer and an astronaut work together to survive after an accident leaves them adrift in space. Rating: 8/10 Big science fiction films are all the rage this year (Oblivion, Elysium, Pacific Rim...) and Gravity is finally one worth watching. From the trailers I had no idea what to expect. George Clooney and Sandra Bullock floating around in space for two hours eventually became my best guess. I rushed the film at the Toronto International Film Festival and when someone said they were showing it in 3D, I was half tempted to leave the line. I hate 3D movies, they give me awful headaches and I don't see the point of them. As soon as Gravity started, I changed my mind.The 3D definitely adds something to the film. The opening shot of earth and space is absolutely beautiful. The film starts up fast enough. Sandra Bullock and George Clooney are both out doing repairs on the spaceship when Houston warns them the Russians blew up their own satellite and accidentally destroyed every other satellite there is. Debris is coming their way and they have to get back to earth as soon as possible. Of course, from the trailers we see that debris does his them, and without a spaceship they must find another way home.George Clooney basically plays George Clooney in a space suit (a funny self-loving character also often played by Robert Downey Jr) and Sandra Bullock plays a doctor who was trained a few months for this mission only. George gets very little screen time but Sandra shines throughout the whole film. Despite her being alone, I would say there is quite a lot of action in the film. She's alone out there and you feel you are too. The film takes you in space and it feels claustrophobic to be there. It keeps you on the edge of your seat the whole time. Throughout the film, you see Sandra's character growing as well. Not only is she trying to get back home, but she's finding the will to do so as well.The film is a visual masterpiece. Yes there is a lot of CGI of course (basically everything you see on screen is fake) but it never felt like it. For once, the 3D definitely adds something to the experience. You get the depth of field you need to truly experience the movie and feel as through you're right there with Sandra. She gives an absolutely stunning performance, acting to absolutely nothing, yet always being right on the spot.If you get a chance to see Gravity in theatres, go for it, especially if you see it in 3D (even if you usually hate 3D, believe me, it's worth it.) Alfonso Cuarón has outdone himself with this film, it's definitely a must see for sci-fi lovers.